Have aliens from another planet landed in Atlanta? 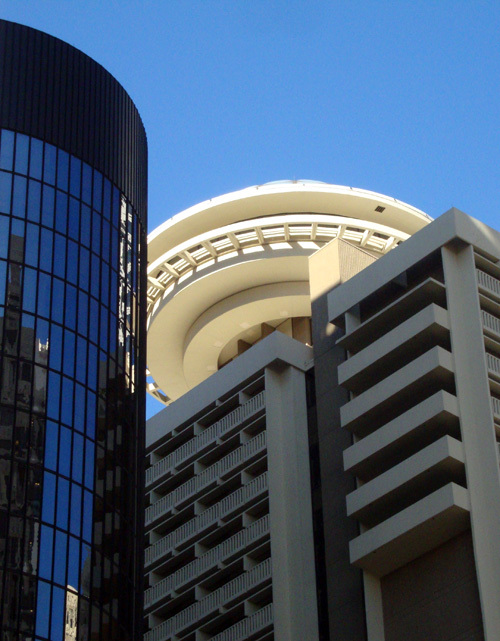 There are days when a passerby might think so, but the saucer on top of the Hyatt Regency Atlanta is actually the Polaris Restaurant. At least it used to be. When construction was completed in 1967, the Hyatt was the tallest building in Atlanta...and the blue dome-topped revolving restaurant sealed the buildings legacy in Atlanta history. Designed by John Portman (who designed a lot of buildings in Atlanta), the hotel was built around a 22-story atrium...a first in hotel design.